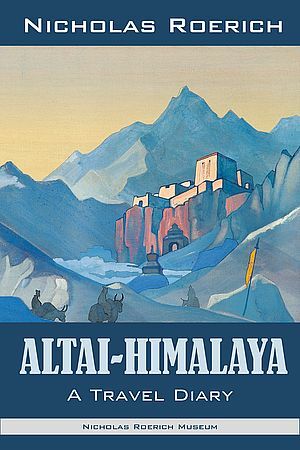 And basically any book by Nicholas Roerich. There is a contagious psychospiritual disease of the soul, a parasite of the mind, that is currently being acted out en masse on the world stage via a collective psychosis of titanic proportions. This mind-virus—which Native Americans have called "wetiko"—covertly operates through the unconscious blind spots in the human psyche, rendering people oblivious to their own madness and compelling them to act against their own best interests. Drawing on insights from Jungian psychology, shamanism, alchemy, spiritual wisdom traditions, and personal experience, author Paul Levy shows us that hidden within the venom of wetiko is its own antidote, which once recognized can help us wake up and bring sanity back to our society. This interview is what introduced me to Paul Levy, who is right on point with understanding how the parasite operates, and spreads like a virus. Last edited by Lauranimal on Fri Jan 26, 2018 3:48 am, edited 1 time in total. I think this is a good topic. Inspirational. + nice with pics of the books and even quotes. Thanks Bob! Will try out the video posting method next time. It would cut back on the noise posts, I think. I'm opposed to it. Sorry. And doesn't belong on a forum I think. Having problems navigating this site! Just joined! "Selected by Extraterrestrials" by William Mills Tompkins details the intervention by friendly humanoid ET's against the parasites. Have to agree about like buttons..
And also am not so keen on "quotations".. ones own or others.. It can be got free from the gutenberg site.. its humorous and full of conspiracy type stuff.. lots of factoids too. Also.. "The gold bug and other stories" by edgar allen poe.. for that story alone. Be warned.. the language can be a bit out-dated. It can be found on the same site.. and is an exciting read which also gives you very basic code-breaking knowledge. Fun.